Mirror moon is comprised of a spotlight and sculptural element that are juxtaposed to project a moving pattern of light on a wall. The spotlight is installed upon the ceiling. The sculptural element is fixed to the wall. 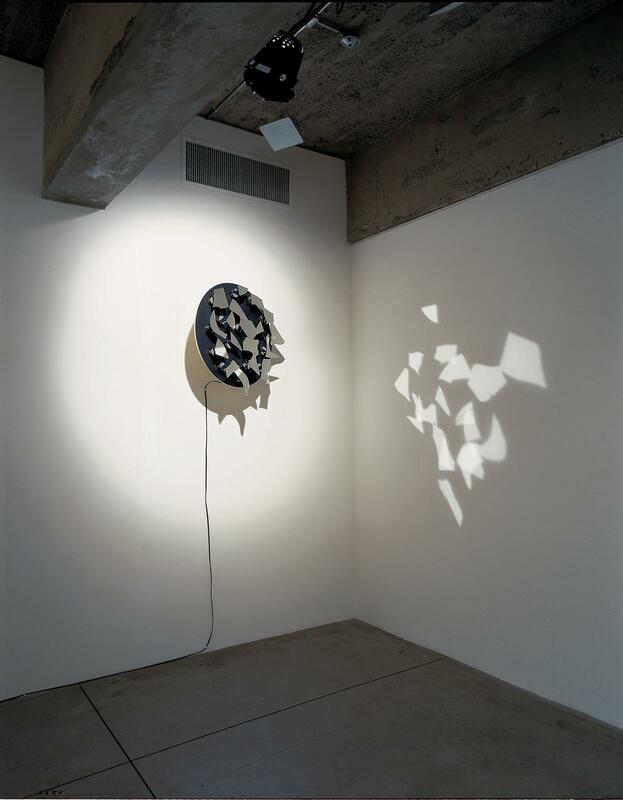 The projection appears on a wall adjacent to the mounted sculptural element.